CD 11: Messiaen: Concert à quatre / Bernstein: Three Meditations From "Mass"
Many great musicians throughout history have, through their interpretations, influenced the way other artists approach certain repertoire. Few, however, have actually changed that repertoire quite so definitively . . . [Rostropovich's greatest gift] was, of course, his playing. He was, in short, a brilliant musician . . . [the new box-set offers] an excellent way to explore his art.
. . . [a] superlative 37-CD boxed set . . . [there are] three equally graceful recordings over a period of 10 years of Schubert's sublime String Quintet . . . there are two unusually fine discs of Rostropovich accompanying his wife, soprano Galina Vishnevskaya . . . a terrific sounding and beautifully-packaged summary of one man's life filled with music.
. . . this incredible 37CD set is as good as it gets, truly . . . for my money, this is the definitive best of Rostropovich in one place. What a deal! Buy it now. You won't regret it. [Beethoven / Cello Sonatas]: The pianist on these recordings (originally released on Philips) is Sviatoslav Richter; and one could not ask for a better partnership of equals . . . Rostropovich matches him for both clarity and expressiveness every step of the way through these five sonatas. It is hard to imagine that anyone seriously interested in this side of Beethoven's repertoire would want to be without these recordings . . . A partnership as interesting as that with Richter can be found on the two discs of Decca recordings of Rostropovich performing with Benjamin Britten at the keyboard.
. . . extraordinary performances . . . timeless performances, newly remastered . . . [in three different performances of the heavenly Schubert String Quintet in C Major, each one] is better than the other two.
. . . the finest-ever recording of Dvorak's Cello Concerto, with Herbert von Karajan and the Berlin Philharmonic . . . this is a fine bargain . . . The modern composer who was most inspired by Rostropovich was Benjamin Britten. The DG box contains recordings of all the music Britten composed for Rostropovich . 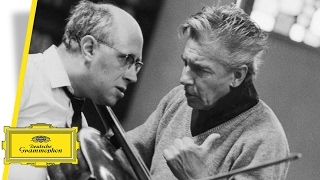 . . this is the box to have.
. . . ["Complete Recordings on Deutsche Grammophon" paints a] complete portrait of a musician who was (or became) much more than a solo cellist . . . At the piano his touch is unexpectedly gentle and yielding when accompanying his wife Galina Vishnevskaya in Russian song . . . Even in the pit his work on "Tosca" with the Orchestra National de France (especially strings, swooning and sizzling to order) can be heard as a love-letter to Vishnevskaya . . . [Schubert's String Quintet with the Taneyev Quartet] undertakes a winter journey to the outer ranges of the quintet's expression like no other version I know . . . [the breathtakingly nimble Haydn C major Concerto is] subtly voiced and joyfully explored . . . The central Serenade of the Debussy is a three-minute miracle: touched by the cellist's magic with high harmonics . . .
. . . [the Russian recordings include] gorgeous accounts of the Rachmaninov Sonata and Vocalise. And who could resist the chamber music with Leonid Kogan, Emil Gilels and Rudolf Barshai? . . . Dive into the DG box for two remarkable partnerships: Beethoven Sonatas with Richter, and with Britten the classic, still spellbinding Decca recordings of his own Sonata, the Debussy and Schubert's "Arpeggione" . . . [two complete operas, Tchaikovsky's "Pique Dame" and Puccini 's "Tosca" both feature Rostropovich's] soprano wife Galina Vishnevskaya, who we can hear in fine song recitals . . . [and] we can also admire her husband's qualities as a pianist . . . the real value of these recordings is obviously incalculable. [Haydn / Cello Concerto no. 1]: a thoroughly different offering -- with Britten's freshly written cadenzas, Rostropovich's more sonorous and fuller-toned nimble energy, and London's Kingsway Hall breathing further life into the sound . . . [this] recording has far more going for it than the mere excitement of new discovery . . . There's also its lovely overall texture: crisp, brightly singing strings, horns slightly back but oboes perkily forwards . . . [and the central-movement cadenza's] exquisite tenderness and personality . . .
. . . le coffret édité par Deutsche Grammophon rappelle aussi la cohérence impressionnante du chef d'orchestre, chef lyrique dont les intégrales "Tosca" (en 1976 avec le National de France) et "La Dame de Pique" (en 1977, même orchestre parisien), avec bien sûr l'excellente soprano Galina Vishnevskaya . . . sont comprises, compléments très nécessaires et avec le recul captivants . . . un violoncelliste ardent et fiévreux, concertiste majeur en son temps . . . des perles historiques sont à souligner, car elles rétablissent le lien entre l'interprète à la forte conscience musicale et nous l'avons dit humaniste, et les grands créateurs de son temps . . .
. . . [le] coffret Universal qui propose certaines gravures qui ont bâti sa légende en Occident, notamment son Concerto de Dvorák et ses "Variations Rococo" de Tchaikovski avec Karajan . . . S'il y a un seul enregistrement à connaitre de Rostropovich, et même du violoncelle tout entier, c'est celui-là! Il est au sommet de son art et dans chacune de ces interprétations il raconte une histoire. Il ne joue jamais une seule note de manière indifférente . . . Le disque qui réunit "L'Arpeggione" et la sonate de Debussy avec Britten est pour moi LE disque de sonate de ce coffret. Si Schubert avait assisté à l'enregistrement, il aurait pleuré . . . [quant à ses sonates de Beethoven avec Richter, c'est une vision] certes un peu austère, mais d'un classicisme tellement respectueux du texte qu'elle est devenue une bible. Parmi ses enregistrements historiques avec Guilels et Kogan, leur Quatuor no. 1 de Fauré est spécialement réussi . . . l'ensemble Universal ne manque pas d'atouts, avec des cires légendaires présentées dans leurs pochettes originales . . .